Plumbers, installers & Speedfit stockists have the chance to win up to £300 worth of prizes or a VIP BSB race ticket for 2, as part of a competition with JG Speedfit to highlight the value of its acclaimed Speedfit Technology. 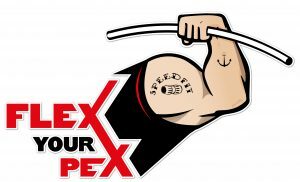 As part of the ‘Flex your Pex’ competition, which runs from 6th March until 6th June 2017, participants are being asked to make a video showing how many Speedfit connections they can make in under 60 seconds or how creatively can they use the Speedfit Technology in 60 seconds. To be in with a chance of winning prizes, which range from Speedfit goodies and Love2Shop gift vouchers to VIP tickets to a British Superbike race event, entrants simply must tweet their videos to #FlexYourPex or, alternatively, submit via competition@johnguest.co.uk. Winners to be announced fortnightly and a star prize at the end of the competition for the most creative entry overall, bonus points will also be given for creativity, humour and nominating a friend. The competition comes as part of a wider campaign highlighting the benefits of Speedfit Technology and to challenge any preconceptions around its reliability, durability and ease of use. Used in a range of industries, from plumbing to automotive to drinks dispensing, billions of Speedfit fittings are used worldwide and have been a mainstay of industry for decades. The campaign highlights where Speedfit Technology can be found in showers, cars, pubs and other places frequently visited in everyday life.